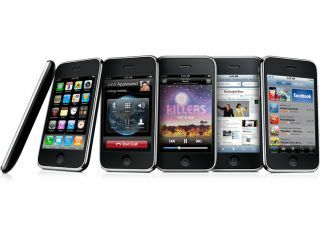 Apple makes a lot of noise about iPhone and iPod touch being great devices for the web. Myriad apps exist for pulling information from various sources, providing up-to-the-minute data on sporting events, weather, news and more. But what about the people who make the sites that send this information? Surprising as it may seem, Apple's tiny handhelds offer plenty of iPhone and iTouch apps for web designers and developers. You're away from your desk, with no access to your computer, and a client phones - their website's broken. With FTP On The Go, you might be able to fix it on the move - the app provides a full-featured FTP client with file edit capabilities for quick fixes. Downloaded files can later be shared, copies can be retained of 'replaced' files, and a web view enables you to check whether your changes have worked, without resorting to Safari. Although primarily intended for arty, painterly types, Brushes is suitable for all manner of sketching. If you've got an idea for website layout or structure, but are lacking pen and paper, use Brushes. Zooming enables fine-detail scribbles, and you can later access your sketches via the app's built-in web server. Air Sharing is a great solution for storing and viewing all kinds of documents on your device. Sharing content with your computer is child's play, and the Pro version (£5.99, pictured) provides extra features, including file operations, PDF printing, and file exchange between iPhones. Although Code Line mothballing its Mac-based colour wheel app still smarts (come back, Color Consultant Pro! ), Color Expert mostly makes up for this. It's great for defining colour schemes, and when you're done, schemes can be saved to your device and sent as rich HTML emails. One of those apps that only does one thing but does it very well, Ego is a centralised tracker for web stats. You feed in details for Twitter, Feedburner, Google Analytics, Mint and Squarespace and it provides the all-important numbers, using one of the best interfaces around.